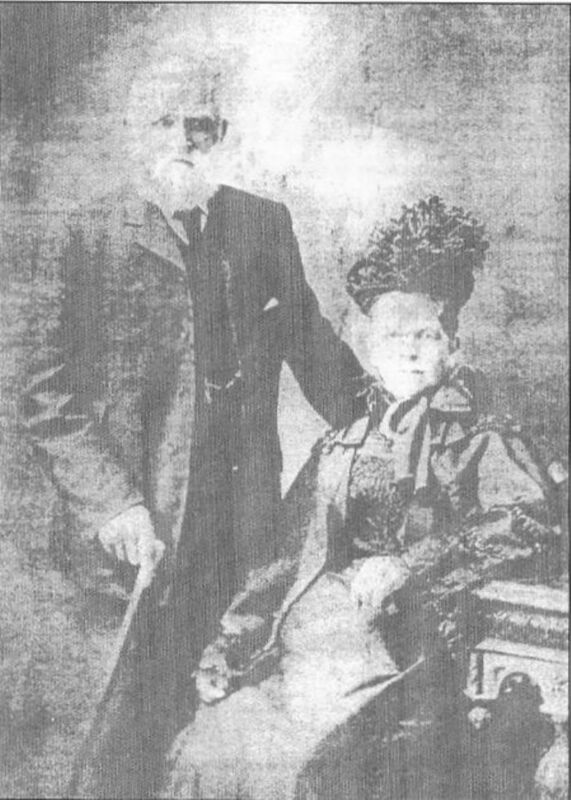 On 24 December 1864 Sarah (known as Sally) Prowse (1844-1935) was married to Joseph Hutchings (1841-1925). Sally was one of the 13 children. She was brought up on a farm at Rosemodress, near the Merry Maidens in the parish of St Buryan. Her father, John Prowse, was a tenant farmer. Her new husband, Joseph, was a ploughman employed at the next farm, Tregurnow. He had come to West Penwith from Somerset in 1860. Joseph would have been well known to Sally both because they were neighbours and because his brother Charles worked at Rosemodress. After their marriage the couple went to live at Trengothal, a farm in the neighbouring parish of St Levan. Joseph was employed here as a dairyman, but he soon became a tenant farmer and moved the family to Tregiffian, close to Sally’s family at Rosemodress. Large families were common at the time, and between 1865 (when she was 21) and 1889 (when she was 45), Sally had 15 children, of whom all but five survived to marry and have children of their own. The Prowse family tree, though incomplete, shows 40 grandchildren, 89 great grandchildren and 156 great great grandchildren. The descendants of Sally and Joseph were to populate many farms in the St Buryan area and to spread out to USA, South Africa and Australia. That marriage on 24 December 1864 had far-reaching consequences for many people. Corbet, S (2010) Households and the home community: Victorian farmers’ marriages at Rosemodress. Pp. 67-76 in Walker, D (ed.) West Cornwall Homes and Households 1550-1950, Penwith Local History Group, Penzance.